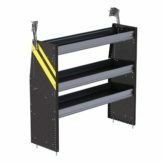 Ranger Design helps mobile technicians work more effectively by providing them with organization storage solutions designed to meet their specific needs on the job. 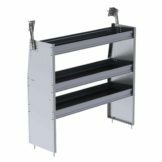 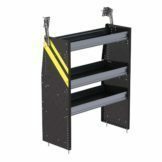 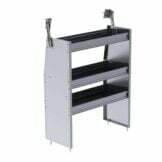 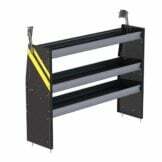 Our van shelving and storage bin systems are unique in the industry; they combine the strength and rigidity of aluminum extrusions with a solid substrate shelf base, giving a shelf tray that is strong, and very quiet. 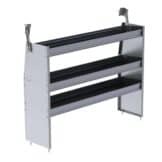 Van shelving and storage bins are available in hundreds of different configurations of height, length, and shelf depth. 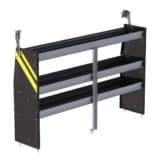 Find the perfect application for your next work vehicle. 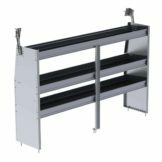 For a large selection of bookshelves, contoured units, deep square back units, fold-away shelving and much more that can hold industry-leading strength, take a look below.